Museum Presentation Booklet :: INHOUSE Productions Ltd.
Corporate identity and 20-page full colour proposal brochure for music collectibles museum used to promote the organization and provide background information on the group to potential museums wishing to install their exhibits. Two versions of the logo were required, one for print on black and another for print on white for stationery. 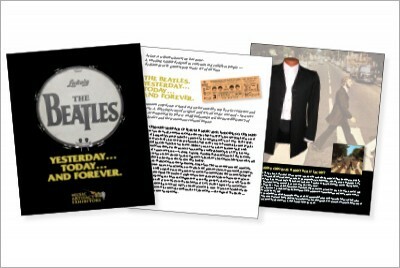 Booklet produced by INHOUSE in October 2009.